After surface degreasing, phosphating, and passivation treatment, multiple layers of organic coatings (such as modified resin (SMP), high weathering polyester (HDP), polyvinylidene fluoride (SPE) are coated on the surface by continuous roll coating. PVDF) and other coatings, which form a complete set of production equipment for new functional boards. The production line consists of an unwinder, a sewing machine (welding machine), a stocker, a degreasing unit, a roll coater, a curing oven, a shearing machine, and the like. 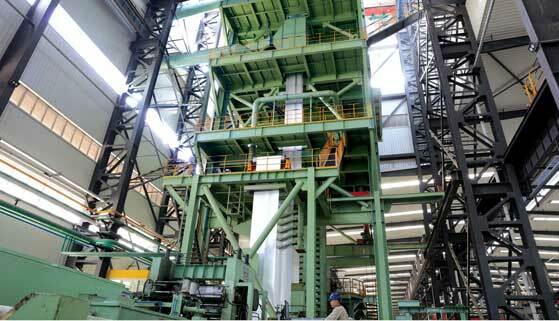 The machine consists of a roll machine. The galvanizing production line is a complete set of zinc alloy plating on the double-sided high temperature hot dip coating of the steel coil. 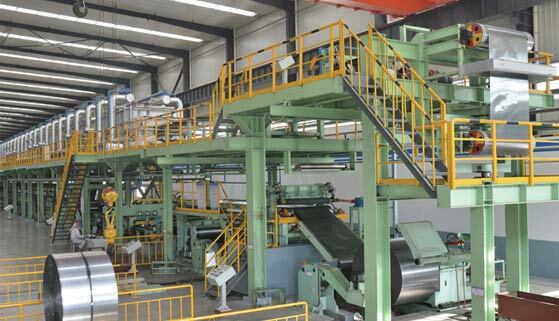 The production line consists of an unwinder, a welder, a stocker, a degreasing cleaning unit, a continuous annealing furnace, a zinc pot, and an air knife. 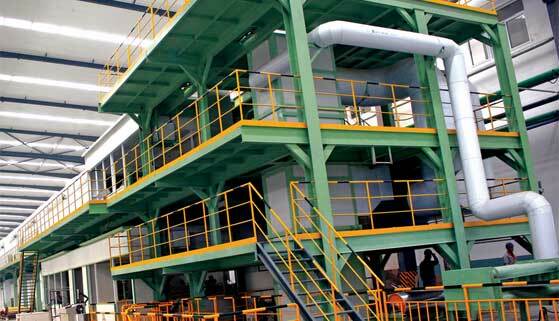 It consists of equipment such as finishing machine, tension leveler, oiling machine, shearing machine and winder.